NEW CANAAN — After unsuccessful negotiations to acquire a piece of property on Valley Road, the town may have to exhaust a long alluded to threat. The Planning and Zoning Commission unanimously voted to issue a positive report for the acquisition of a contentious piece of property. The decision, made at its meeting on Nov. 27, could help the town acquire the red house on 1124 Valley Road through eminent domain. First Selectman Kevin Moynihan said once the process of using eminent domain begins, the town will not be able to back out. “We thought we would start the process with the Planning and Zoning Commission because you have to give a positive report on any property acquisition in town,” he said. Several town organizations, including the New Canaan Preservation Alliance and the New Canaan Historical Society, have pushed to preserve and protect the historic structure, according to Moynihan. The New Canaan Land Trust has urged the acquisition of the property because it is adjacent to the 10.3 acre Browne Wildlife Sanctuary owned by the Land Trust. 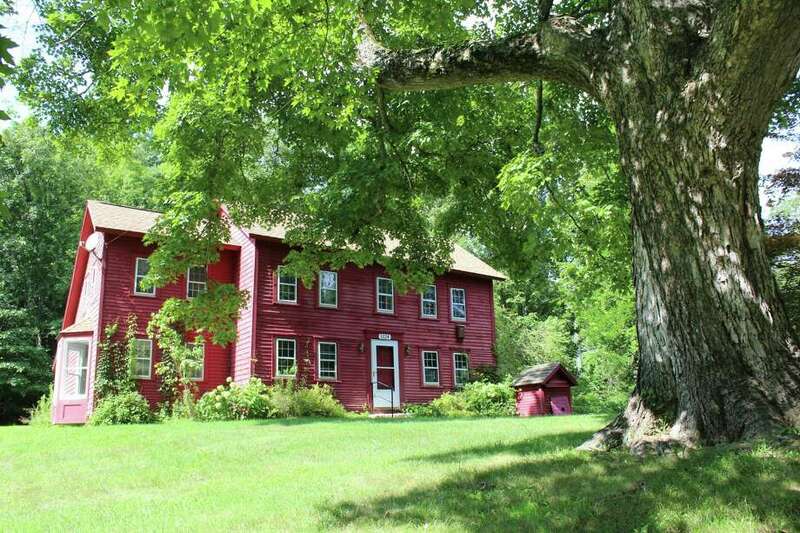 The house and the four-acre terrain it is located on are the property of the 1st Taxing District of Norwalk. Previously, town officials had offered to pay $250,000 to the taxing district for the antique house and the 0.83-acre parcel on which it stands. Frank Murphy, counsel for the Taxing District, attended the meeting to oppose the use of eminent domain. He added the taxing district would go tn court if the town proceeded with eminent domain. There are also plans for the district to place a caretaker in the house, Murphy said. Eminent domain can only be exercised by a town for a public purpose, not a private purpose, Murphy said. John Goodwin, chairman of the Planning and Zoning Commission, said the decision is based on whether the acquisition is consistent with the town’s planning and conservation development for historic properties.